When the Eyjafjallajökull released ashes of dust into the skies on the 14th of April 2010, forcing the closure of several European airports, many were unaware that this volcanic eruption had a goal. Many did not know that this Icelandic volcano was on a mission to stop FC Barcelona from qualifying for the 2010 UEFA Champions League final. The Eyjafjallajökull eruption compelled Barcelona to face a 1000 kilometer, 14-hour road journey that had psychological consequences for the visiting team and gave an advantage to Jose Mourinho's Internazionale Milan. Barcelona lost the first leg in Milan and lost a place in the final after failing to enhance a 1-0 lead in the second leg. The team also lost the opportunity to write its name in the history books of European club football. FC Barcelona failed to forestall the historic achievement of Real Madrid from 2016 to 2018. The failure of Barcelona to defend the trophy in 2010 and 2012 and Real Madrid doing it boils down to one thing: the law of precedence. There is a rule of precedence operating in the UEFA Champions League. This rule applies first, the soccer leagues of Europe, and secondly, to the participating clubs. This rule operates on the basis of the history of the leagues and the clubs during the era of the European Cup. The rule started to come into effect in 2000 when La Liga leveled Serie A and the English Premier League with its 9th European Cup. It formally came into force in 2002 when La Liga moved ahead of Serie A and the English Premier League for its 10th European silverware. Since then, there has been an order of precedence in Europe's premier club competition. For instance, since 2002, neither have Serie A leapfrogged La Liga nor Premier League moved ahead of both La Liga and Serie A. The order of their precedence can be gleaned through the all-league finals of 2000, 2003, 2008 and 2013 involving La Liga, Serie A, Premier League, and Bundesliga, respectively. FC Barcelona has once more run into almost the exact kind of problem the club faced with Real Madrid in 2010 and 2012. Barcelona is currently entangled in a similar situation that Inter Milan with the aid of Eyjafjallajökull and Chelsea with the force of head to head were merely the instruments of their execution. The difficulties ahead of Barcelona in Europe have been brought to light by the club's capitulation to AS Roma at the Olympic Stadium. The 3-0 defeat of Barcelona was no ordinary development. It was work of the forces behind the misfortunes that beset Real Madrid's knockout round and final opponents. The Roma victory was an extension of Madrid's fortunes on PSG, Juventus, Bayern Munich and Liverpool as it removed the most significant obstacle on the way to Madrid's consecutive treble. The forces behind Madrid's success were also behind the Eyjafjallajökull of 2010. These forces are again on the side of Juventus in the forthcoming season. More importantly, Barcelona's elimination at the hands of Roma signals a worrisome development for the Catalan giants. 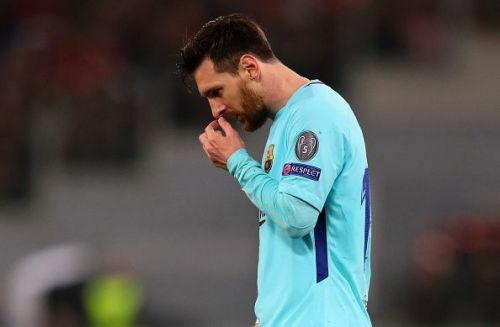 This defeat removed the possibility of a semifinal clash with Liverpool, which Barcelona had a high probability of winning. Barcelona's head to head with Liverpool puts such contest in the Blaugrana's favor since it was Liverpool that dumped Barcelona out of the competition in the 2006/2007 knockout stages. The import of Liverpool's escape of Barcelona, and which raises a high probability of a 2018/2019 clash, in a contest that put the Catalans at an advantage on the head to head basis is that the latter will lag the former for its 6th continental silverware. Barcelona and Liverpool are currently on five titles each. Also, Bayern Munich is now on five European silverware. However, Liverpool and Bayern Munich have a pedigree in Europe that Barcelona lack. Both teams accumulated the majority of their quintuples in the era of the European Cup. The majority of Barcelona's European silverware is of recent history, in the UEFA Champions League. Barcelona doesn't boast of a great era in European Cup history. Therefore there is this strong likelihood that FC Barcelona will have to wait for Liverpool and Bayern Munich before its next continental success as the rule of precedence comes into force at the club level. That was the actual message of Barcelona's capitulation in Rome. The defeat to AS Roma was merely a tip of the iceberg as the real struggles lay further ahead. Barcelona will have to wait for Liverpool and Bayern Munich, in this particular order, to achieve glory in Europe going by the sudden resurgence of the former. But with Serie A and Premier League currently tied at 12 European silverwares apiece, this means that Juventus will be the first to make a move. That extends FC Barcelona's woes on the continent by one more season. The bottom line is that Barcelona will have to endure at least three more seasons of trophyless campaigns in Europe. FC Barcelona is currently confronted with a crisis of pedigree in Europe with Juventus, Liverpool and Bayern Munich, all on a queue for continental success. Oppositions from La Liga's heavyweights have been the main obstacle to Juventus success in Europe. The Old Lady has managed to contain both threats by chance and design. The Bianconeri's next tie with FC Barcelona will be in her favor, given the strength of head to head, as the latter was victorious in their last two-leg encounter. For Real Madrid, the departure of Cristiano Ronaldo has created a spiritual vacuum at the Bernabeu. It marks the end of an era, or better still, the End of History. 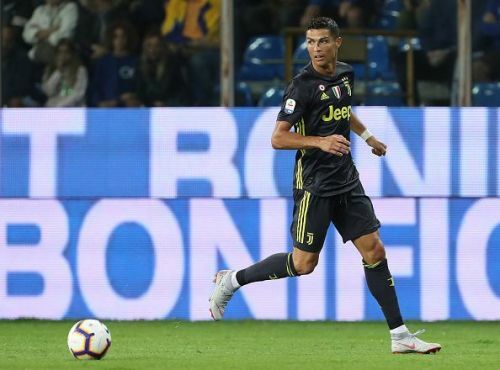 Ronaldo's arrival in Turin meant he has taken with him that invisible power, acquired in his years of intense efforts to surpass Messi on the pitch; the metaphysical input that formed the foundation of Real Madrid's success in Europe. 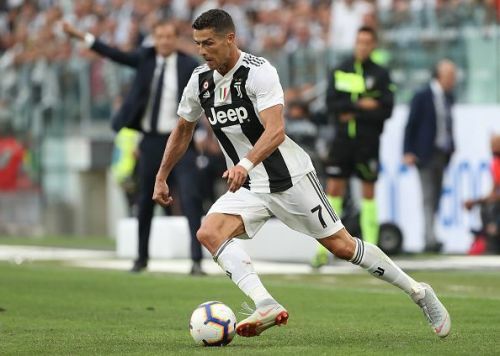 The metaphysic force of Ronaldo in contact with the historical pedigree of Serie A in the European Cup, which Juventus currently stands on, will lit the spark that will propel the Bianconeri to their third crown in 2019. Ronaldo will in his first season lift another European crown in a third league, not because of his special powers alone but because there are already sufficient historical grounds for him to achieve it. Juventus has one special history among the winners' list of both the old and new European cups. Its two titles have come against the reigning champions. If this is the historical path that Juventus have decided to tread, then the 2018/2019 finals should be a repeat of the 2016/2017 finals with the result going the other way. And if the Ronaldo goal-bound run obstructed by the pitch invader a the 2017/2018 finals is anything to go by then the scoreline should be a 2-1 loss to the holders.